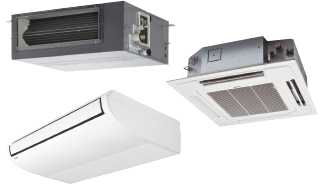 Recent improvements to air source heat pump technology, including compact single unit systems, can provide an ideal housing and commercial solution. 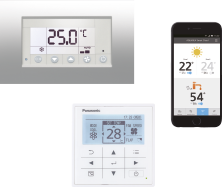 They offer space saving, energy-efficient heating and can be easily adapted for installation in flats, houses and commercial premises. 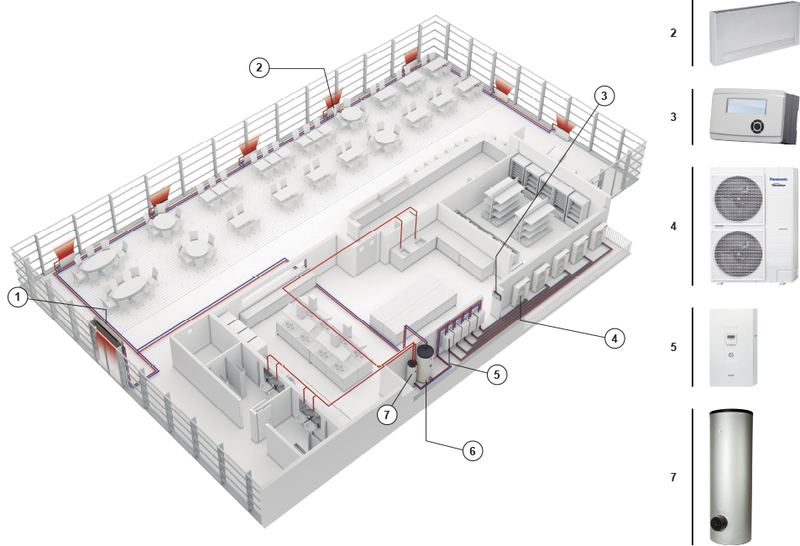 And for businesses producing heat, such as restaurants, installing an Aquarea heat pump system can also use this wasted heat to improve energy efficiency further. 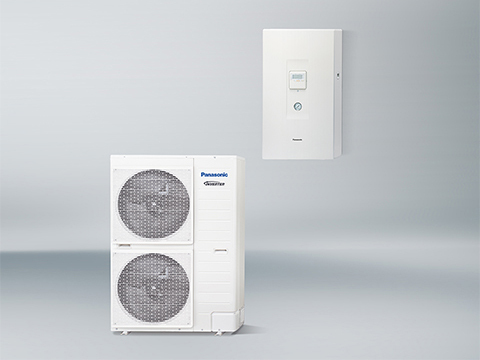 Panasonic’s Aquarea Heat Pump provides savings of up to 80% on heating expenses compared to electrical heaters. 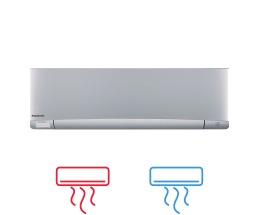 For example, the Aquarea 5kW system has a COP of 5,08. 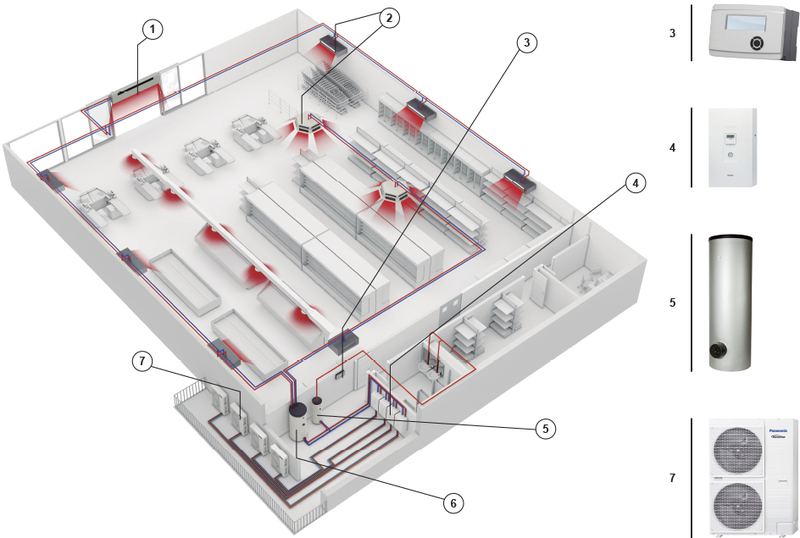 This is 4,08 more than a conventional electrical heating system which has a maximum COP of 1. This is equivalent to a 80%* saving. Consumption can be further reduced by connecting photovoltaic solar panels to the Aquarea system. 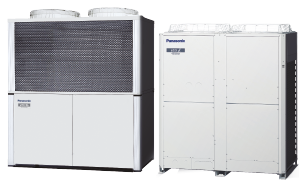 Heat pump technology is scalable, meaning that it can be installed in buildings of varying sizes, offering both small- and large-scale heating solutions. The technology is also environmentally friendly when compared to existing technologies, offering demonstrable energy-use and emissions savings and in most cases; will deliver operational cost savings when compared with fossil fuel alternatives. * 1 HPM can control 3 HP, on this case 2 HPM are needed. If you look for savings on you business, Aquarea is the right choice! 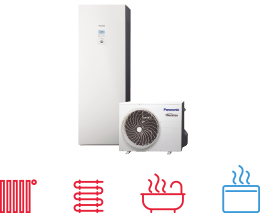 Ideal for heating, cooling and for production of big quantities of hot water at 65 degres, Aquarea have a extremely quick return on investment and a low CO2 footprint.